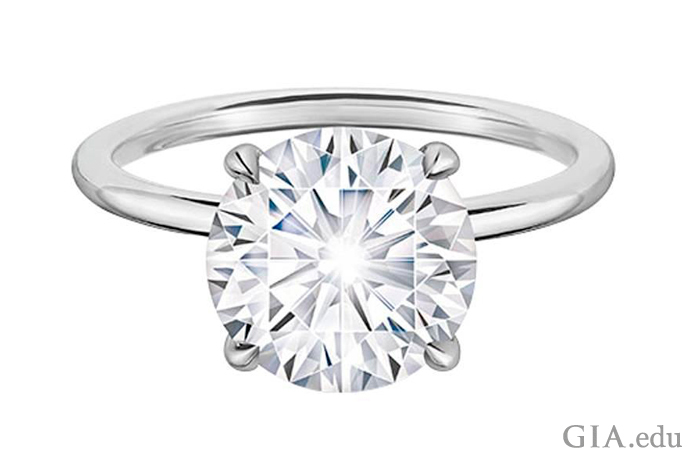 A GIA diamond cut grade is key to knowing how well your round brilliant diamond will sparkle. 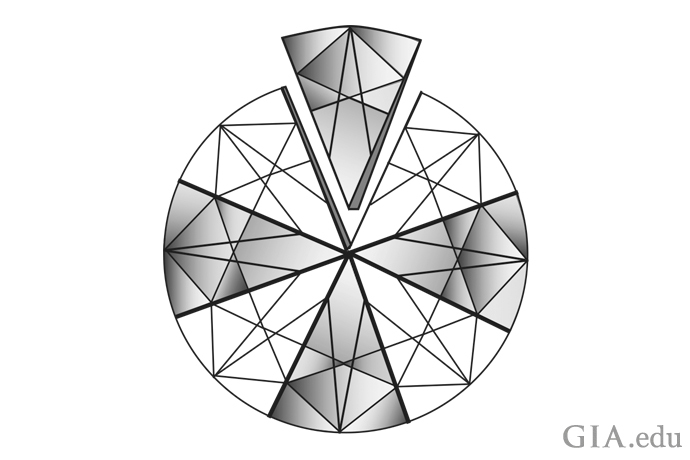 Cut is the most complex of a diamond’s 4Cs. Let’s cover some essentials so you can pick the perfect round brilliant diamond engagement ring. 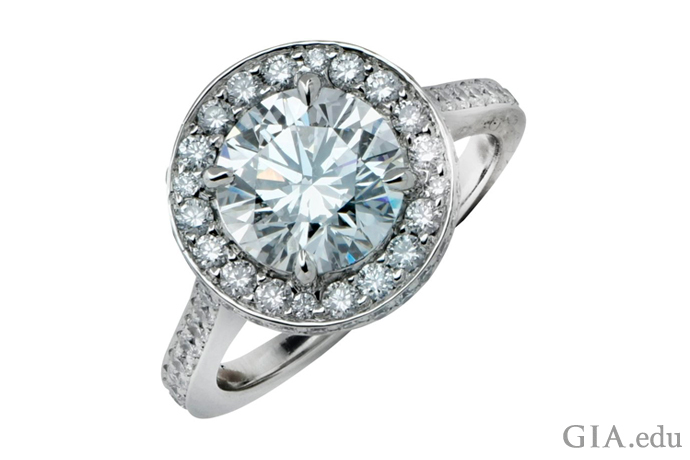 The most popular diamond in the marketplace is the round brilliant. 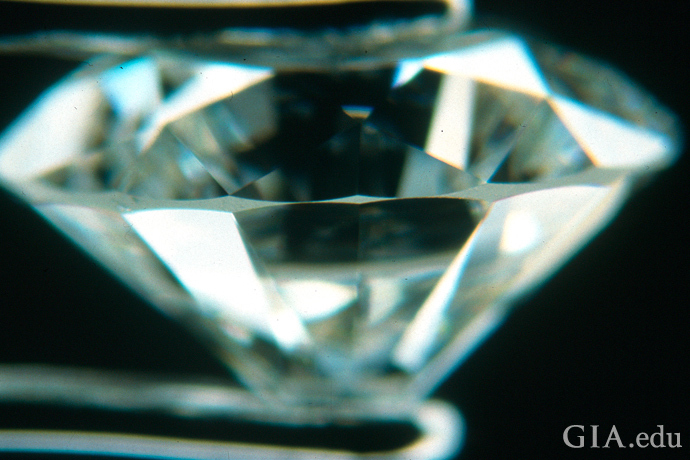 Experts estimate that this cut alone accounts for more than 70% of all diamonds sold today. 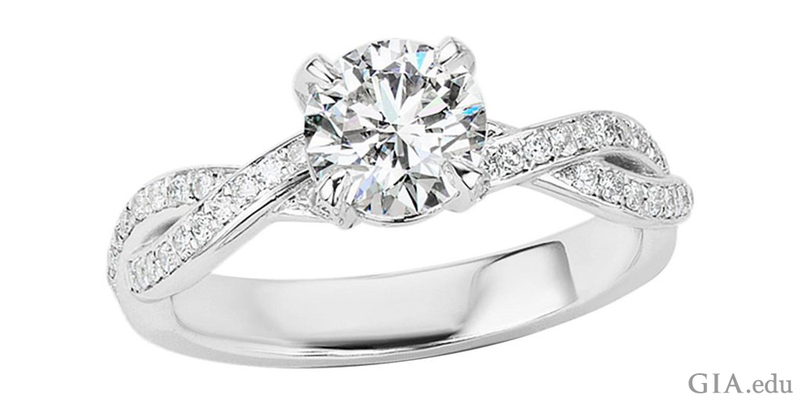 The quality of a round brilliant diamond’s cut determines how much the diamond sparkles. To pick a diamond whose flashes of light enchant the eye, you need to know the 4Cs of diamond quality, the universal standard for judging diamonds: color, cut, clarity and carat weight. All else being equal, the better the cut grade, the more valuable the diamond. Some professionals consider cut the most important C of diamond quality. A well-cut round brilliant delivers that unmistakable, stop-in-your-tracks light show that telegraphs “diamond” across a crowded room. If the diamond is well cut, most compromises in clarity, color and even carat weight can be forgiven. A diamond’s cut grade is also an indication of how well it was designed and crafted. So, understanding the diamond cut grade is key to picking a round brilliant that’s not only beautiful, but also the best value. In arriving at its cut grading system, GIA spent 15 years studying how light behaves within a round brilliant cut diamond. 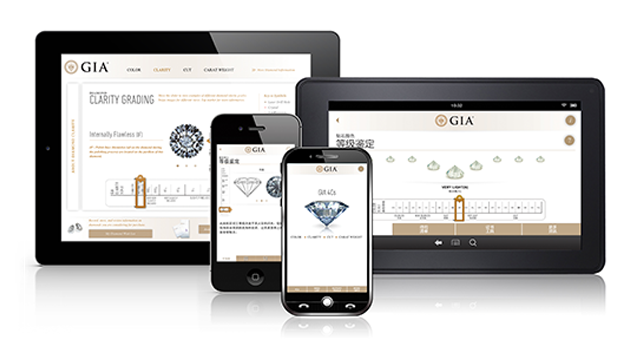 GIA’s aim was to understand the factors that contribute to a round brilliant’s appearance and to determine which of those factors – or combination of factors – produce diamonds that people consider attractive. 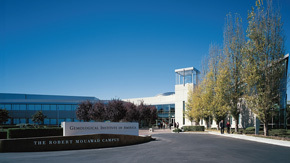 GIA’s research included the use of advanced computer modeling to analyze tens of thousands of possible proportion combinations. GIA then validated its research with human subjects, conducting more than 70,000 observations on actual diamonds, to determine which diamonds people found appealing and why. The result was the GIA Cut Grading System, which evaluates the cut quality of a round brilliant diamond along a five-point scale ranging from Excellent to Poor. The GIA diamond cut grade is based on seven factors: brightness, fire, scintillation, weight ratio, durability, polish and symmetry. A key component of a GIA diamond cut grade is the diamond’s face-up appearance – or how the diamond looks when viewed from above, as if it was set in an engagement ring. People love diamonds for their dazzling interplay with light – which the layperson often translates as “sparkle.” But there’s a lot more going on here. 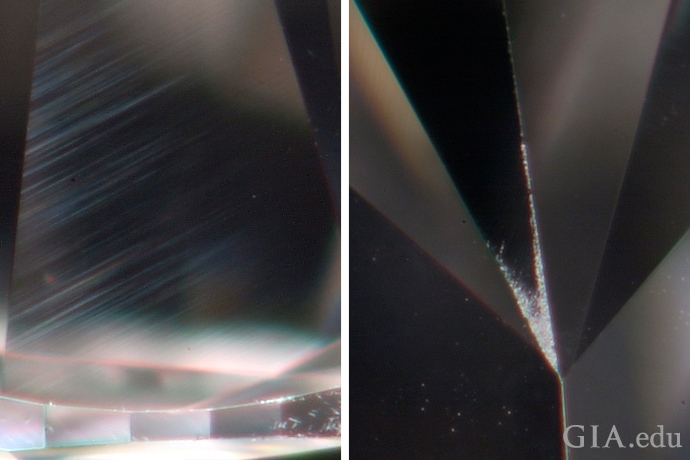 When you see internal and external white light reflected from a diamond, you’re noticing “brightness.” If you see the scattering of light into all the colors of the rainbow, you’re being treated to “fire.” Sparkle is actually “scintillation,” the pattern of bright and dark areas caused by reflections within the diamond as it or the light source moves. What you might consider “sparkle” is really the overall visual effect of these three factors. 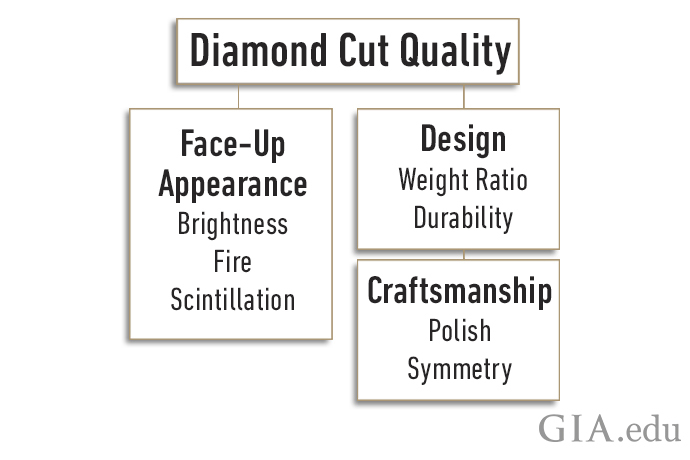 A GIA cut grade includes an assessment of how well a diamond delivers on each of these attributes. 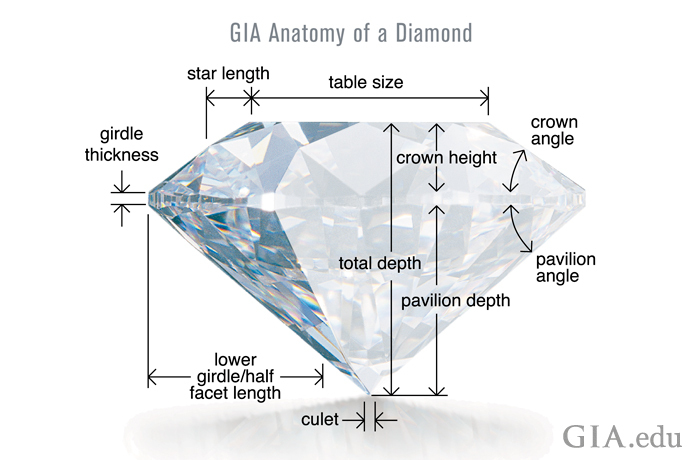 A diamond’s proportions – its crown and pavilion angles and the relative measurements of its facets – are key contributors to a diamond’s overall face-up appearance. Remember that facets are tiny mirrors. Their size and placement will influence how light behaves as it passes through the diamond and back to your eye. A diamond’s proportions can help predict how well a diamond will deliver brightness, fire and scintillation. However, an important outcome of GIA’s cut research was the finding that there is no single set of proportions that defines a well-cut round brilliant diamond. In fact, diamonds with different proportions can receive the same cut grade. The diamonds may look and perform differently but they will still have a similar impact on the observer. So, as a diamond shopper, you need to look beyond the measurements on a grading report. Be sure to view a diamond in person to see if it’s the right choice for you. 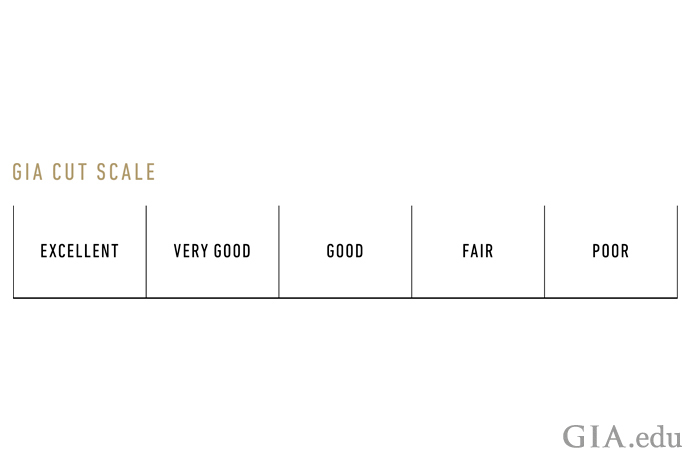 This graphic illustrates the proportions that affect a diamond’s cut grade. The crown and pavilion angles and the relative measurements of its facets contribute to a diamond’s brightness, fire and scintillation. While face-up appearance is all about how a diamond looks, design and craftsmanship evaluate the quality of the diamond’s manufacture. Poor design could add unnecessary weight to a diamond or cause durability issues that would prevent you from enjoying it for a lifetime. A diamond with poor craftsmanship won’t deliver much in the way of brightness, fire and scintillation. In evaluating these two components, the GIA Cut Grading System takes into account the diamond’s physical shape, its proportions, its weight ratio, and the care that went into fashioning and polishing its facets. Design refers to decisions made during the fashioning process that determine the diamond’s physical shape, as seen in its proportions, weight ratio and durability. Weight ratio is the diamond’s weight in relation to its average girdle diameter (a fairly complex mathematical equation). A diamond with a smaller girdle diameter relative to its weight might appear smaller face-up than its well-designed counterpart, because much of the weight would be “hidden” in the overall depth of the diamond. For example, while a diamond with a thicker girdle could look great, the girdle is hiding unnecessary weight. 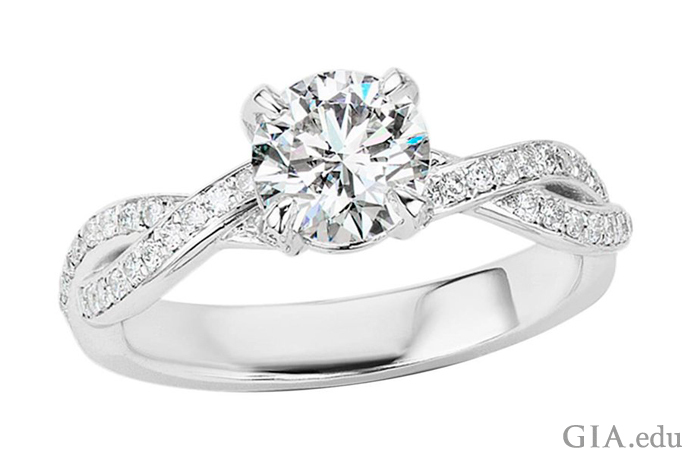 As a result, you might end up paying more for a heavier diamond with no greater visual impact for the added cost. The bottom line: A diamond should not weigh more than its face-up size would indicate. Durability in the case of a round brilliant diamond refers to the risk of damage that might result from an extremely thin girdle. Such a girdle can make a diamond highly vulnerable to damage during the jewelry setting procedure or even normal wear. Considering how much a diamond costs and its emotional significance, you want to avoid one that is susceptible to damage. A GIA Diamond Grading Report can eliminate this concern. Here is an example of why durability is important. This 1.35 ct diamond has girdle areas that are very thin to extremely thin, making it more susceptible to damage during everyday wear. Courtesy: Gary Roskin, G.G., F.G.A. Craftsmanship describes the care that went into fashioning the diamond, as seen in its polish and symmetry. Polish refers to the overall quality and condition of the facet surfaces. It includes evaluation of any blemishes created by the polishing process or during wear. 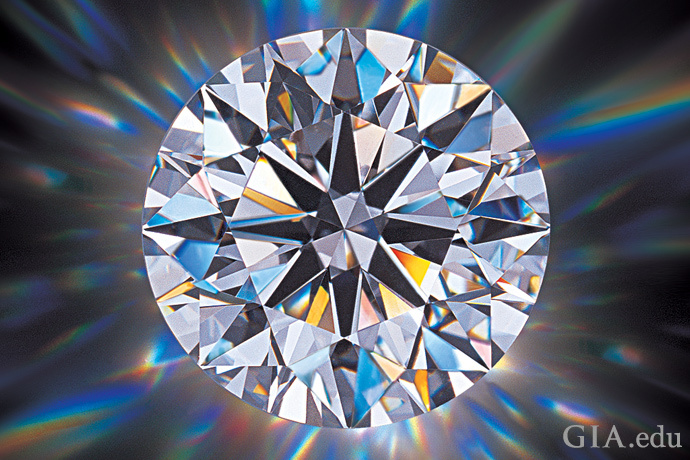 Polish is critical to the mirror-like performance of a diamond’s facets. Symmetry is the exactness of a finished diamond’s shape and the arrangement and placement of its facets. A symmetrical diamond has an even display of brightness, fire and scintillation. A diamond with poor symmetry will have poor light performance, meaning that it’s likely to look flat. GIA evaluates a round brilliant diamond’s cut based on seven components – brightness, fire, scintillation, weight ratio, durability, polish and symmetry – to arrive at a GIA diamond cut grade, which ranges from Excellent to Poor. The grade is set by the lowest assessment the diamond receives for five of the seven components. In other words, if a diamond receives a Poor grade for brightness, then the highest its overall cut grade can be is Poor. The exceptions are polish and symmetry, which are assessed using standard GIA grading methodology: A diamond with Very Good polish and/or symmetry, for example, may receive an Excellent cut grade. 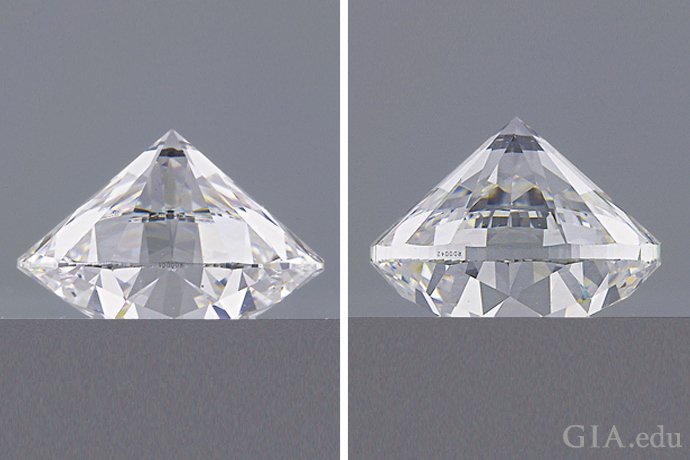 A GIA Diamond Grading Report contains the diamond’s full cut assessment, in addition to a diagram showing the diamond’s proportions and relative measurements. Consider the report an invaluable tool in helping you pick a dazzling diamond. While knowing a diamond’s cut grade is essential, it shouldn’t be a substitute for seeing a diamond in person. As mentioned above, a diamond cut grade represents a range. For example, two diamonds with an Excellent Cut Grade may look – and perform – very differently. In addition, a diamond will look different under various lighting conditions, so you should take it for a test drive, so to speak. Last, you need to fall in love with the diamond – and no report can substitute for what stirs your heart. Diamond cut is extremely important. So is diamond color. Learn about it, too, so you can pick a spellbinding diamond.